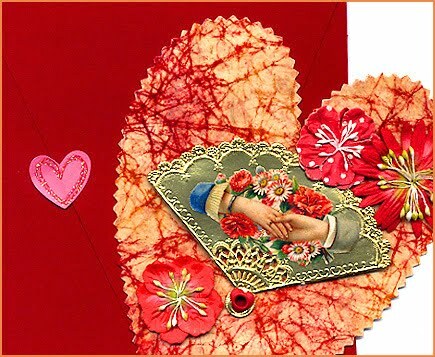 Aside from the sweets and time with your beloved on Valentine's Day, the best thing about the holiday is the cards. Making them helps us create a work of art based on our affection, and receiving them is like winning a prize. Here's a handmade Valentine our friend Phoebe dropped off Monday for everyone at the store. Lovely work, Phoebe, and Happy Valentine's Day to you as well! Who did you make a card for this Valentine's Day, and what was it like to create it? I made a glittered, 3D, miniature paper dovecote in peach and white. I gave a class on the project the week before Valentines day. Karin - Really wonderful!! Thank you for posting! !